— Drama Series: “Homeland,” Showtime. — Actress, Drama Series: Claire Danes, “Homeland,” Showtime. — Actor, Drama Series: Damian Lewis, “Homeland,” Showtime. — Supporting Actor, Drama Series: Aaron Paul, “Breaking Bad,” AMC. — Supporting Actress, Drama Series: Maggie Smith, “Downton Abbey,” PBS. — Writing, Drama Series: Alex Gansa, Howard Gordon, Gideon Raff, “Homeland,” Showtime. — Directing, Drama Series: Tim Van Patten, “Boardwalk Empire,” HBO. — Comedy Series: “Modern Family,” ABC. — Actor, Comedy Series: Jon Cryer, “Two and a Half Men,” CBS. — Actress, Comedy Series: Julia Louis-Dreyfus, “Veep,” HBO. — Supporting Actress, Comedy Series: Julie Bowen, “Modern Family,” ABC. — Supporting Actor, Comedy Series: Eric Stonestreet, “Modern Family,” ABC. — Writing, Comedy Series: Louis C.K, “Louie,” FX Networks. — Directing, Comedy Series: Steven Levitan, “Modern Family,” ABC. — Miniseries or Movie: “Game Change,” HBO. — Actress, Miniseries or Movie: Julianne Moore, “Game Change,” HBO. — Actor, Miniseries or Movie: Kevin Costner, “Hatfields & McCoys,” History. — Supporting Actress, Miniseries or Movie: Jessica Lange, “American Horror Story,” FX Networks. — Supporting Actor, Miniseries or Movie: Tom Berenger, “Hatfields & McCoys,” History. — Directing, Miniseries, Movie or Dramatic Special: Jay Roach, “Game Change,” HBO. — Writing, Miniseries, Movie or Dramatic Special: Danny Strong, “Game Change,” HBO. — Reality-Competition Program: “The Amazing Race,” CBS. — Host, Reality-Competition Program: Tom Bergeron, “Dancing With the Stars,” ABC. — Variety, Music or Comedy Series: “The Daily Show With Jon Stewart,” Comedy Central. — Writing for a Variety Special: Louis C.K., “Louis C.K. Live at the Beacon Theatre,” FX Networks. — Directing, Variety, Music or Comedy Special: Glenn Weiss, 65th Annual Tony Awards, CBS. Academy Awards organizers have moved up a key date in the upcoming season of Hollywood film honors. Nominations for the 85th Oscars will be announced Jan. 10 — five days earlier than the academy previously announced. Oscar overseers say the switch will give the academy’s nearly 6,000 members more time to see nominated films before the Feb. 24 awards ceremony. The date change puts the Oscar nominations three days before Hollywood’s second-biggest film awards — the Golden Globes, whose ceremony takes place Jan. 13. 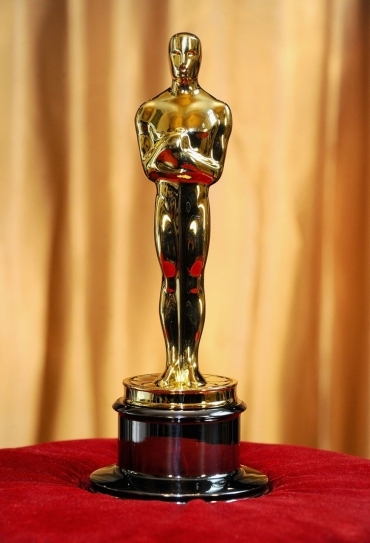 Oscar nominations typically come out after the Globes. The earlier date for Oscar nominations could steal a bit of the thunder from the Globes, which are presented by the Hollywood Foreign Press Association. The fantasy series “Game of Thrones” is the big winner at the creative arts Emmy Awards. HBO’s saga received a leading six trophies at the ceremony Saturday night in Los Angeles that recognizes technical and other achievements. Among networks, HBO earned a leading 17 creative arts Emmys, followed by CBS with 13 and PBS with 11. 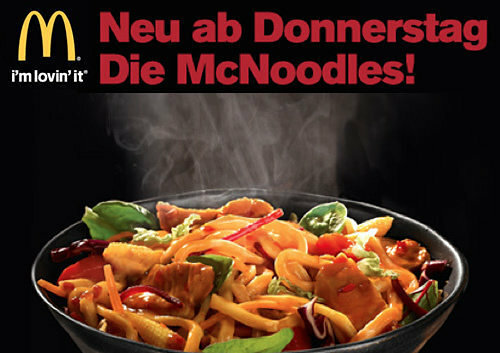 McDonald’s is introducing noodle dishes this week at its restaurants in Austria. The “McNoodles” comes with vegetables and salad, chicken pieces and either sweet and sour or curry sauce. They’ll be available for a limited time starting Thursday. The company says it spent more than a year developing the product, noting that Asian noodles are popular in Austria. “This has been for McDonald’s a complete new challenge,” a company statement says. McDonald’s Corp., the world’s biggest hamburger chain, with more than 33,000 restaurants around the world, is known for its Big Mac and French fries but also offers localized menu options in various regions. Dustin Hoffman and David Letterman will soon find themselves in company they never expected in the nation’s capital. The actor and comedian are among seven people receiving the 2012 Kennedy Center Honors, according to a recent announcement. They join Chicago bluesman Buddy Guy, rock band Led Zeppelin and ballerina Natalia Makarova. The nation’s highest honor for those who have influenced American culture through the arts comes with a nod from President Barack Obama and Secretary of State Hillary Rodham Clinton. The honorees will be saluted by fellow performers Dec. 2. The 75-year-old Hoffman says it seems harder to win the Kennedy Center Honors than the Oscars or Golden Globes. He says he’s honored and flattered to be included. Seven-time nominee Louis C.K. and Ricky Gervais, creator of “The Office,” are among the stars who will be handing out this year’s prime-time Emmys. 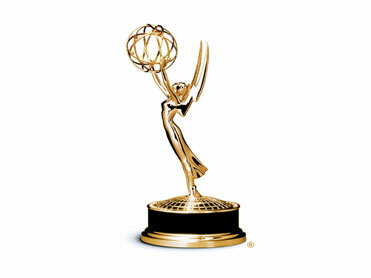 Producers of the awards show made their first announcement Tuesday of Emmy presenters. Others will include Ginnifer Goodwin, star of ABC’s “Once Upon a Time,” and Mindy Kaling, star and creator of the upcoming Fox comedy “The Mindy Project.” In addition, Jim Parsons, who’s nominated for CBS’ “The Big Bang Theory,” and Amy Poehler, nominated for NBC’s “Parks and Recreation,” are set to be on hand. Campbell Soup is tapping Andy Warholfor another 15 minutes of fame. The world’s biggest soup maker plans to introduce special edition cans of its condensed tomato soup bearing labels reminiscent of the pop artist’s paintings at Target stores starting Sunday. The 1.2 million cans will cost 75 cents each. The promotion comes as Campbell looks to turn around its struggling soup business after years of declining sales. The company plans to introduce dozens of new products this year. Campbell Soup’s embrace of Warhol’s iconic imagery is a switch from its initial reaction to Warhol’s use of the cans in a painting, when the company considered taking legal action before deciding to see how the paintings were received by the public. By 1964, however, the company realized the paintings were becoming a phenomenon and embraced the depictions. Campbell’s marketing manager even sent Warhol a letter expressing admiration for his work. Later that same year, Campbell commissioned Warhol to do a painting of a can of Campbell’s tomato soup as a gift for its retiring board chairman, Oliver G. Willits; Warhol was paid $2,000 for the work. Campbell also invited the artist to visit its headquarters in Camden, N.J., although Thorn said there’s no indication a visit ever took place. The red-and-white Campbell label made its debut in 1898. Significant changes to the front of the can have been made only a handful of times since then. After Warhol completed the Campbell boardroom painting, the company had no further contact with him until 1985, when the company commissioned the famed artist to paint packages of its new dry soup mixes for advertisements. Warhol died about two years later. In 1993, the company bought a Warhol painting of one of its tomato soup cans to hang in the boardroom of its headquarters. The company also has a licensing agreement with the Warhol estate to sell clothing, magnets and other gear, mostly overseas, bearing the artist’s renditions. 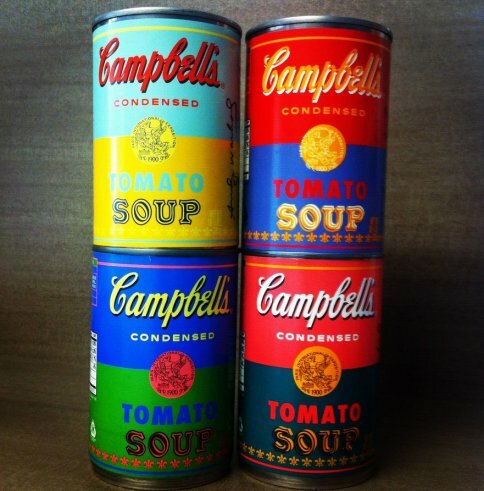 Campbell has sold Warhol-inspired cans on two other occasions, although on much smaller scales. In 2004, the company sold 75,000 four-packs of Warhol-inspired cans at Giant Eagle, a Pittsburgh-based supermarket operator. During the holiday season in 2006, the company sold 12,000 units at Barney’s, a high-end department store, in New York.